Kate TaylorMcDonald’s new fresh-beef burger. 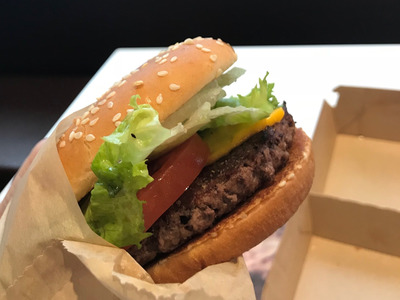 McDonald’s is now making Quarter Pounder burgers with fresh – not frozen – beef. Each burger is prepared fresh to order – but McDonald’s says that the change isn’t slowing down the chain. Here’s a step-by-step look into McDonald’s kitchen and how exactly the fast-food burger gets made. On Tuesday, McDonald’s announced it would begin making its Quarter Pounder burgers with fresh – not frozen – beef across the US by early May. 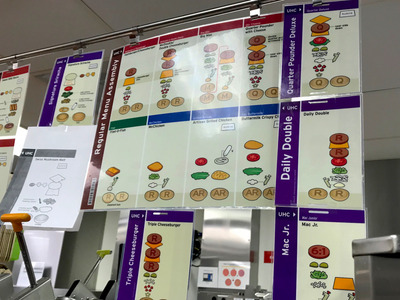 The change took McDonald’s months of behind-the-scenes efforts. 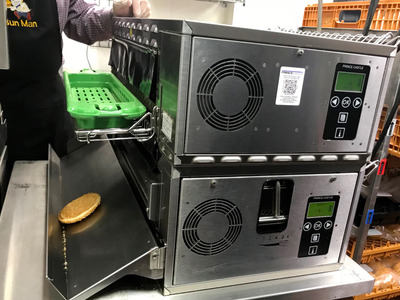 For fresh-beef burgers to work, McDonald’s needs to clear certain safety and flavour benchmarks – and make sure the new burgers don’t slow down the drive-thru by even a second. 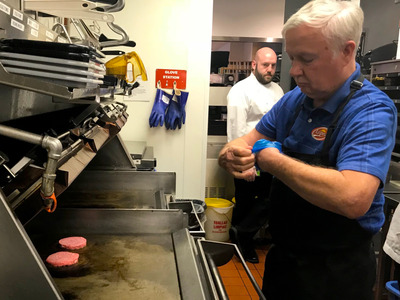 Complicating the process is the fact that each fresh-beef burger is prepared fresh after customers order. 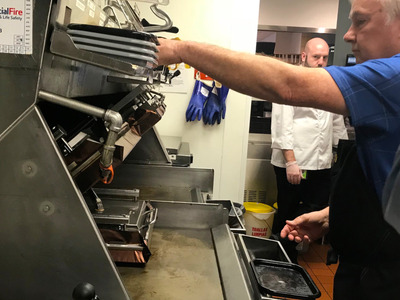 This week, McDonald’s took members of the media into the kitchen of an Oak Brook, Illinois, location to show exactly how the fresh beef is prepared. 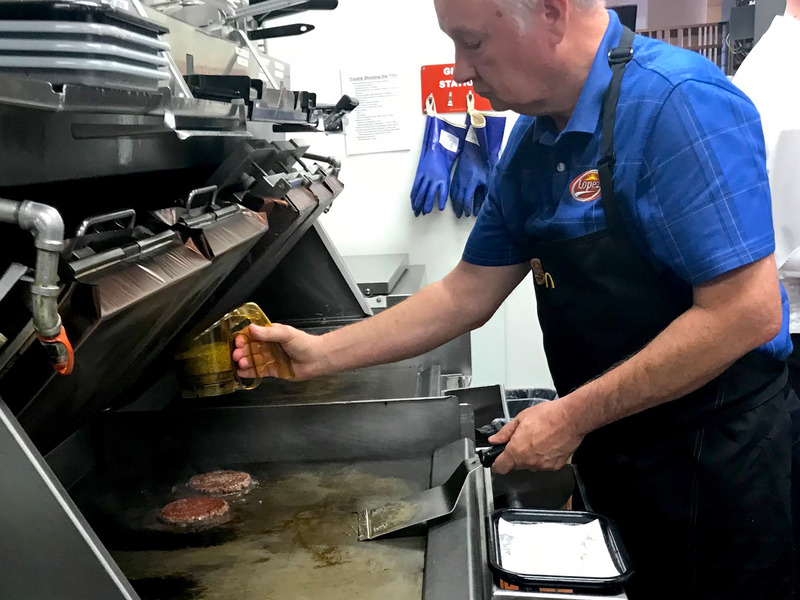 The first step to the new burger is fresh — not frozen — patties. 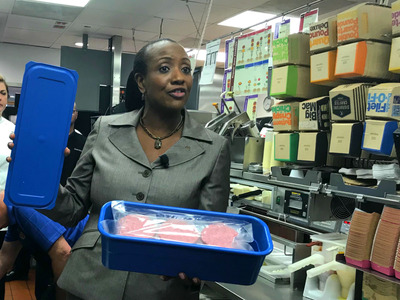 McDonald’s workers are able to distinguish between the two due to the fresh-beef patties being stored in a blue box, in contrast to the standard white box used for frozen patties. 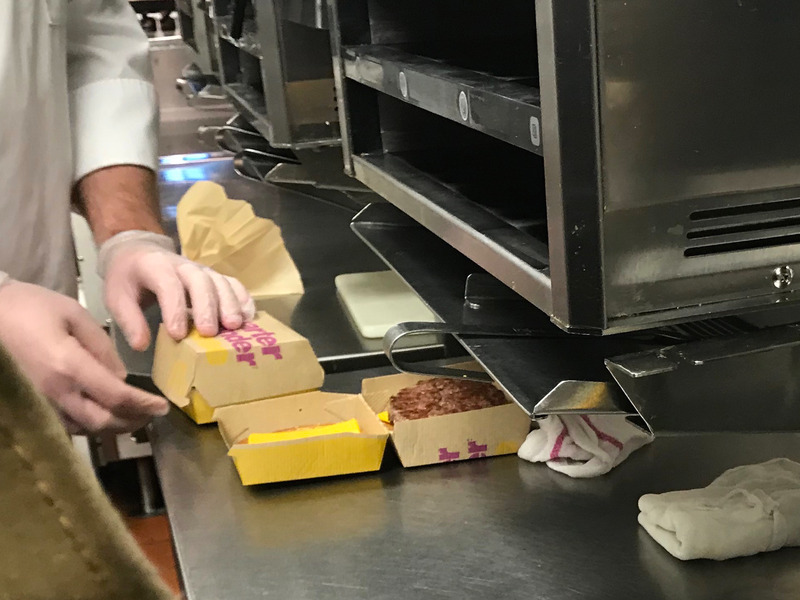 McDonald’s had to address major food-safety concerns that come with adding fresh beef to the menu. 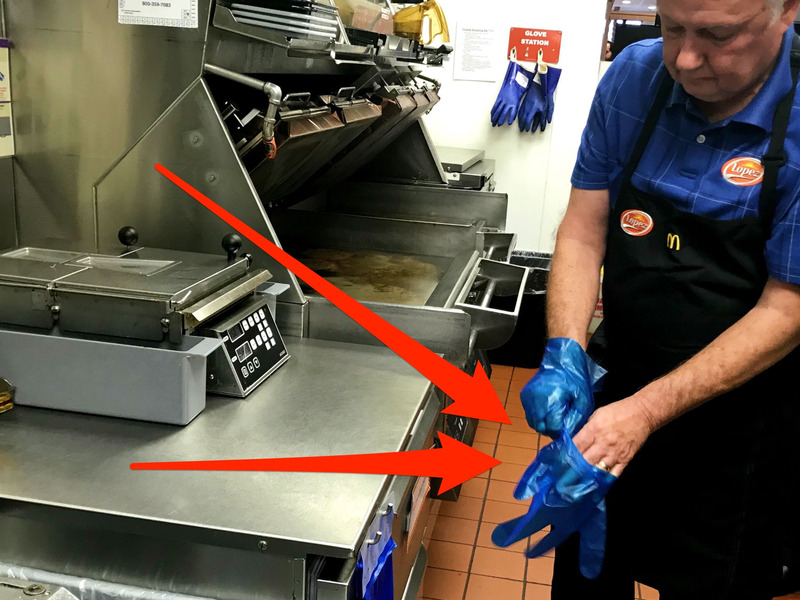 Workers have special blue gloves that they immediately discard after handling the patties. 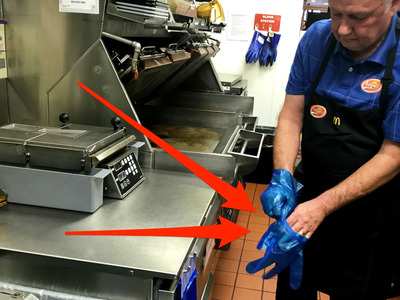 Beyond the gloves, however, the burger preparation is pretty much identical. Fresh patties are slapped on the grill and flattened, allowed both sides of the burger to swiftly cook. While one fast-food employee mans the grill, another worker has already put the buns in the toaster oven, where they are toasted golden brown in roughly 22 seconds. 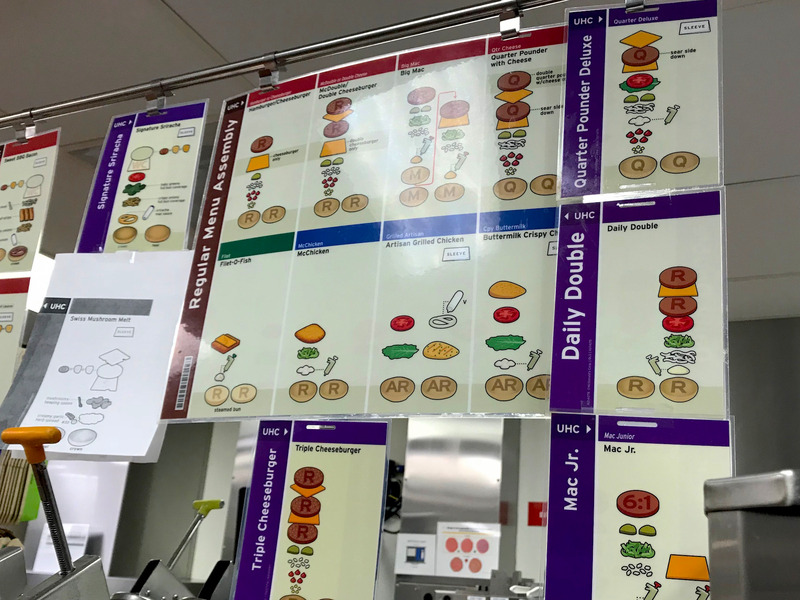 The buns are topped with lettuce, tomato, mayo, and more — all in accordance to handy cheat sheets hanging by the prep station. Like all McDonald’s burgers, the patty is seasoned only with a sprinkle of pepper. 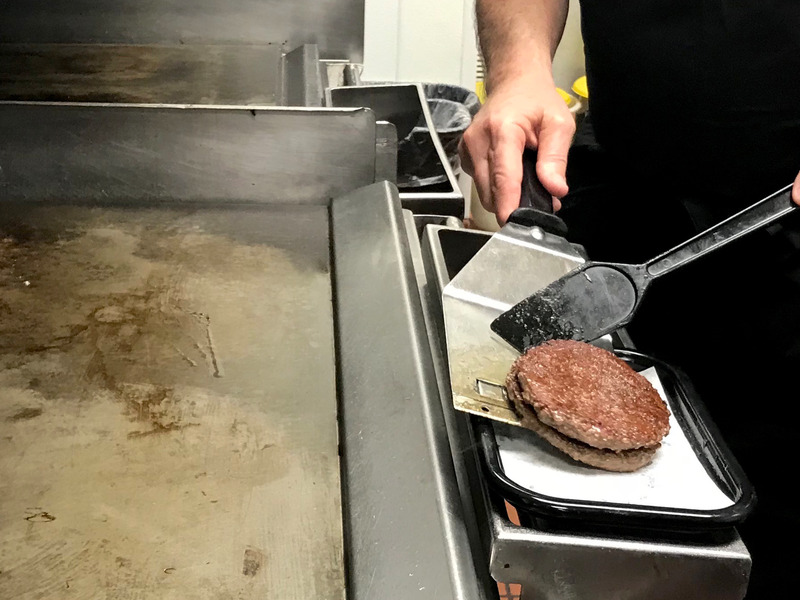 One positive of the new burger is that fresh beef cooks faster than frozen patties — something that is crucial to making sure that service doesn’t slow down with the new menu item. The patty meets the toppings, and the burger is complete — a process that, if all goes well, should take less than two minutes. The result: a hotter, juicier burger than the frozen-beef variety, something that McDonald’s hopes to use to win over customers seeking more upscale options.